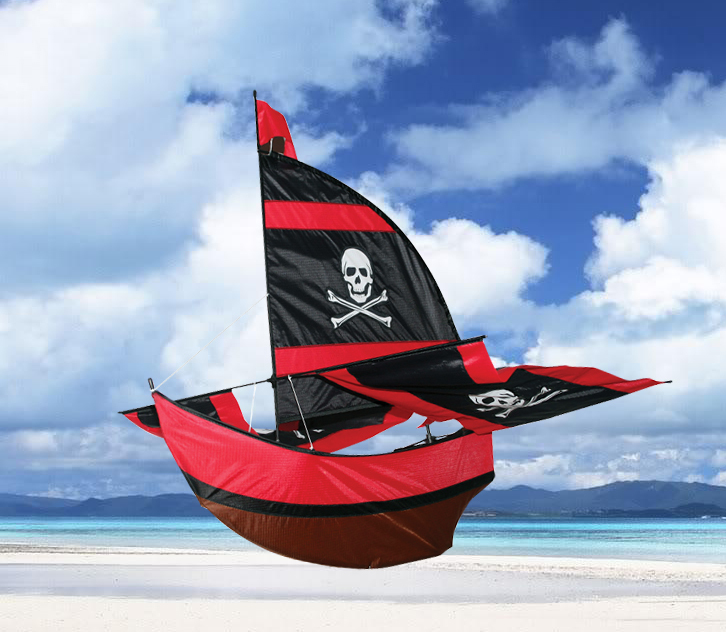 Surrender the booty and stock these top selling Pirate Ship kites! Built with ripstop nylon and a fiberglass frame, these ships will withstand even the harshest of adventures while sailing above the seven seas. These kites are easy to launch and fly steady providing a fun experience to aspiring pirates of all ages.